Posted by Salvatore J. Zambri, founding member and partner. According to an August 26, 2016, FDA recall notice, Country Fresh, LLC. of Conroe,Texas, has just recalled 30,000 cases of fresh-cut vegetable products because of a potential contamination by Listeria monocytogenes. The contamination was discovered during a routine screening by the Georgia Department of Agriculture. Further distribution of the affected products is suspended during the continuing investigation by Country Fresh and the U.S. Food and Drug Administration (FDA). Affected products are wrapped in either Styrofoam trays overwrapped with plastic film or clear plastic containers bearing “BEST IF USED BY” dates between Aug. 7, 2016 and Aug. 19, 2016. Although no illnesses related to the fresh-cut vegetables have been reported to date, the listeriosis infection can take up to 70 days after exposure to cause any symptoms. Symptoms listed on the recall notice include high fever, severe headache, stiffness, nausea, abdominal pain and diarrhea. Among healthy people, the symptoms are generally short-term. Please visit the FDA website for the full list of recalled products. Listeria-tainted food can cause very serious and even fatal injuries, especially among young children, frail or elderly people, and those with weakened immune systems. Listeria infections by pregnant women can also cause miscarriages and stillbirths. I have extensive experience representing clients who have contracted foodborne illnesses in the District of Columbia, Maryland, Virginia, and throughout the country. Other law firms routinely refer food poisoning cases to me. Do you have any questions about this post? If so, please email Mr. Zambri: szambri@reganfirm.com. Mr. Zambri is the author of a widely renowned book on product liability litigation. His experience and knowledge regarding personal injury is often sought by other lawyers and he regularly speaks at seminars regarding personal injury litigation. 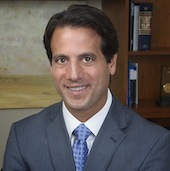 Mr. Zambri has also been acknowledged as one of “The Best Lawyers in America” by Best Lawyers (2016 edition) and has been repeatedly named a “Super Lawyer” by Super Lawyer magazine (2016) – national publications that honor the top lawyers in America.